BSEC continues to promote economic co-op in interests of all participants - Sec.-Gen. 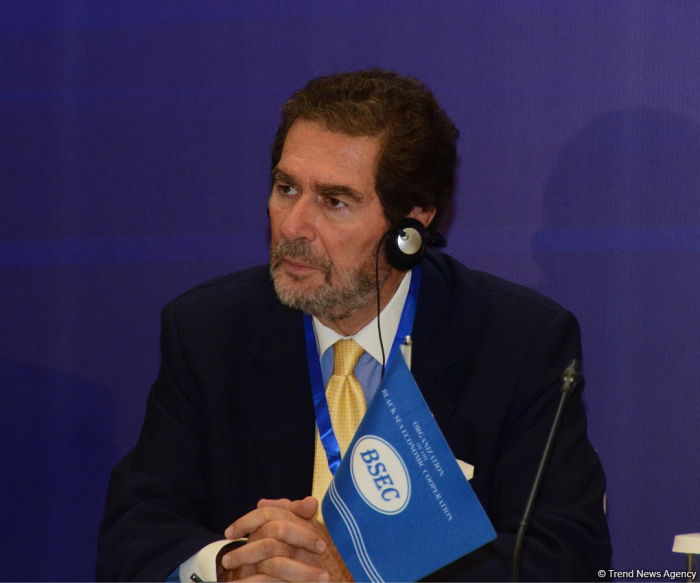 Despite conflicts between the member countries of the Organization of the Black Sea Economic Cooperation (BSEC), it continues to promote economic cooperation, BSEC Secretary General Michael Christides told reporters in Baku Dec. 14, AzVision.az reports. He made the remarks at a press conference following the 39th meeting of the Council of Foreign Ministers of the Organization of the BSEC member states in Baku. Unfortunately, there are conflicts between some BSEC members, but it was decided that political issues won’t be discussed within this organization, he said. However, BSEC continues to work on projects and strengthen cooperation within the mutual interests of all participants in the organization, he said. He noted that several times a year the representatives of all BSEC member states discuss issues of interest at the negotiating table. Therefore, even if BSEC didn’t exist, there would be a necessity to create it, he said.